Coleus Wasabi - Brad's Bedding Plants, Inc. 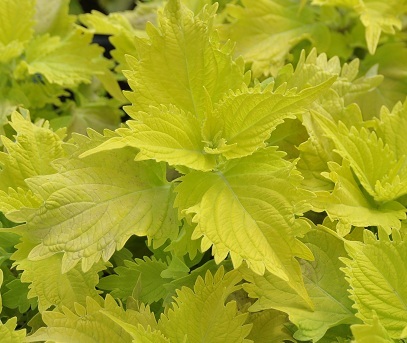 Durable and rugged for a coleus, Wasabi’s serrated charteuse leaves hold their brillant color without fading or spotting. Grows 18-30 inches tall and 16-28 inches wide. Full sun to partial shade.